MASTER PROBLEMS Emotions and Personality How to be punctual? Two boys wrote invitations for a gathering to be held at their home on Saturday at 2:00 p.m.
Not all problems with punctuality are solved that easily. In fact, failure to be on time can cause serious difficulties for the latecomers as well as for any who are forced to wait for them. True, not all cultures place great stress on punctuality. But regardless of where you live, likely you need to be concerned with being on time for such things as airplane flights, formal meetings, business appointments, and even some social events. So if you are frequently late, what can help you be on time? And if you are often kept waiting by others, what can help you effectively cope with this prevalent human shortcoming? 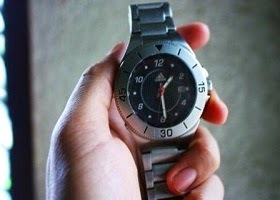 Are you habitually late? Try first to identify the cause. Are you easily distracted? Do you have great difficulty organizing yourself or your family? Such influences toward lateness can be overcome by conscious effort. For example, time your routine activities and plan accordingly, allowing more than enough time for everything. Check the time every hour or so. Instead of trying to be exactly on time for important commitments, aim to be there earlier than expected. However, might your lateness problem be more deeply rooted? Yes, last-minute excitement—though unpleasant—can actually serve the purpose of providing needed stimulation. If you suspect that you may be “addicted” to this kind of excitement, how can you overcome it? In other words, look over your weekly plans. Have you included some positive activities to fill your own need for excitement or stimulation? Or is your schedule one list of monotonous, mediocre routines? Nobody has complete control over his activities, but if you make it a point to provide stimulation where you can, you may more easily tolerate the routine aspects of life without having to resort to lateness to provide excitement. Some people claim that when they wait until the last minute, they perform better. And if that is really true in your case, well and good. But be honest with yourself. Do you really do your best when you wait until the last minute? How to cope when others are late? Perhaps you are punctual but are repeatedly forced to wait for others who are not on time. How can you help or at least cope with family members, friends, or associates who are habitually late? You may be able to help habitual latecomers by reminding them in advance of their appointments or by having an honest talk with them about the problem. It may be that some latecomers, because of their background or personal weaknesses, do not respond to help and continue to inconvenience others by failing to show up on time. If your circumstances require that you live or work with such individuals, you can accept their lateness as a fact of life and develop strategies to cope with it effectively. For example, you can anticipate waiting time and prepare for it. Perhaps you can arrange to meet in a place where waiting is enjoyable, such as a store or a restaurant. Or bring some work or reading material with you to keep you productively occupied while you wait. Set your appointments with them early so that their probable lateness will not cause you to miss your own deadlines. In certain instances, your good judgment may dictate that you not include habitual latecomers in your plans. If you do have difficulty with being on time, do not excuse this weakness or apathetically tolerate it, expecting others to wait for you. This would be inconsiderate of the lives and feelings of others. Consider the case of a bride who was three hours late for her wedding. As a result, the ceremony had to be hurriedly moved to a private home, resulting in great inconvenience to the more than 200 in attendance. Certainly, being thoughtful of others should move us to be punctual! No doubt your efforts at punctuality will result in your being not just on time but early for many appointments and activities. 1. Break large, overwhelming tasks into small doable activities. 2. Take a physical step toward accomplishing a job. For example, if you are putting off reading a book, take the book off the shelf and place it near your favorite reading chair. 3. Make a commitment to someone. Tell a friend or supervisor that you will complete a certain project by a specific time. 4. Give yourself a reward as you complete each stage of a large project. 5. When you catch yourself procrastinating, admit to yourself, ‘I’m wasting my time.’ This reminder can eventually lead to taking control and deciding to stop procrastinating. 6. Consider the price of delay: Will the workload increase? Will the financial cost increase? Suppose you get sick when the last minute arrives? What if the project takes longer than you expected? Might there be a series of interruptions? Will the quality of your last-minute work suffer?